» Forum » Game manufacturers » Heighway Pinball » Full Throttle on location. Pinball Wizard Arcade, Pelham, NH. » Full Throttle on location. Pinball Wizard Arcade, Pelham, NH. Full Throttle on location. Pinball Wizard Arcade, Pelham, NH. Hi there everyone. 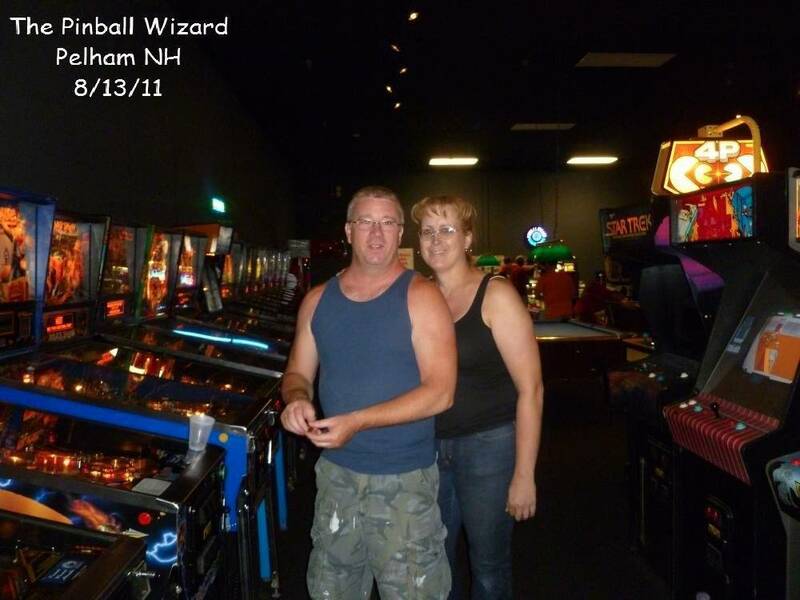 My name is Trent, I'm the technician at the Pinball Wizard Arcade in Pelham, NH. We just recently got our Full Throttle machine and I thought I'd post some pictures. Alright, more have landed! I was feeling lonesome. Congrats and glad it is going on location! Sweet! Torture test for the new game. Man, looks great in that pic....its begging to be " set apart" to show off the lit side art....let the games begin!!! Curios to see how well it performs on route, keep us posted. Awesome!!!! I'm already going to be there in October - wasn't sure I'd see this one on location, thanks! What? When did you pay customs ? I was on that same shipment and paid customs Tuesday as soon as they tnt called but have not heard a thing since . Pinsiders can be a tough crowd ! Best arcade I've ever been to as an adult just keeps getting better! Definitely a fan of Pinball Wizard. We really do appreciate all the feedback and kind words, as well as the critiques that we may get. 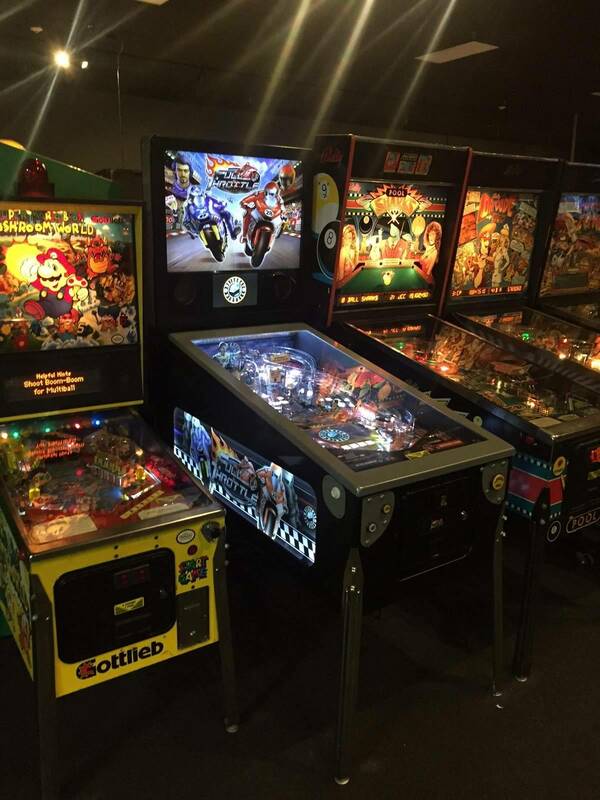 We strive to keep our machines in the best possible playing condition, because in the world of arcades, there is nothing worse than a location where none of the games operate properly. why is it only a single coin mech? Because games on route SHOULD be $0.25 a play. Completely missing this thread, I stumble into Pinball Wizard yesterday as I needed to buy an X-pin display, maybe play some classics... and BAM! Woo hoo! Full Throttle... TAKE MY MONEY! Overall, what a fun machine. I'll reiterate the two things that the people who have played this stress to those concerned. 1) It's really, really fast for a widebody. Awesomely fast. Really, awesomely fast! 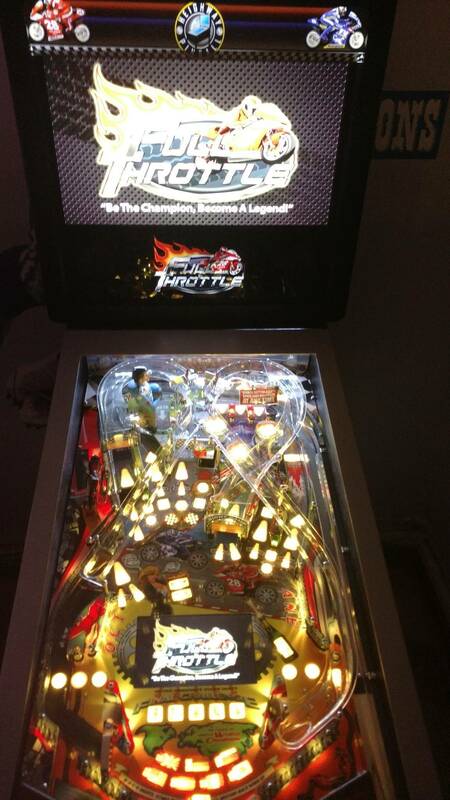 2) The playfield "glass cartridge" in no way interferes with playfield view. The side-lit panels were $$$, the layout was fantastic (combos-a-plenty), the sound quality (and soundtrack itself) was on point, and the integrated screen was wonderful. I caught myself a few times saying "you don't have to look up". Also, the skill shot was very fun. Much more fun that "launch at full power and press the flipper until it lines up with the correct top lane" skill shot. My only gripe, and it was hard to find one, was that the scoop sometimes drained the ball on me. Roughly 25% of the time, out of the scoop this happened. It would come out, hit something on the right, and head straight over to the left drain/inlane. Seeing how KISS fixed this (either via changing coil strength, or adding in a ball save time after eject...?) I bet this won't be a permanent issue. The Pros far outweigh the Cons for this game. If you're in the area, it (along everything else at PWA) is worth the drive. I've seen the scoop to outlane problem before. If the scoop is aligned properly it should never happen. We'll think about adding a quick ball saver for immediate outlane drains, though. I'm curious how many other people are having this problem. That's one of the best playfield pics yet. I like the green GI and everything looks so sparkly! Can't wait to play it again at EXPO. On mine, it catches that rubber maybe 25% of the time, but in my case gets thrown to the left outlane and back to the flipper. I had considered tweaking the scoop to aim a little better. 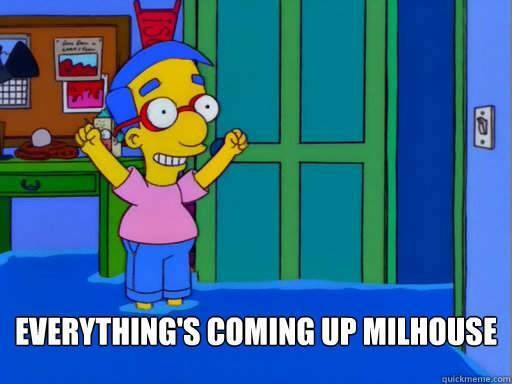 So, Full Throttle has been on location for a week. How many times was it played? An astounding 593 times!! Many thanks to Sarah at The Pinball Wizard Arcade for releasing this info to us. If I had mine, I might have been able to beat that. What has been the customers opinions? I would also like to know of any issues with the game if at all possible. The single coin mech is because most British pinballs and videos have one multi-coin slot that take 20pence, 50pence, or E1 pound coins. FT is made in England. That is also how you can tell if a pin is a re-import from the UK, which is often not disclosed in sales ads. 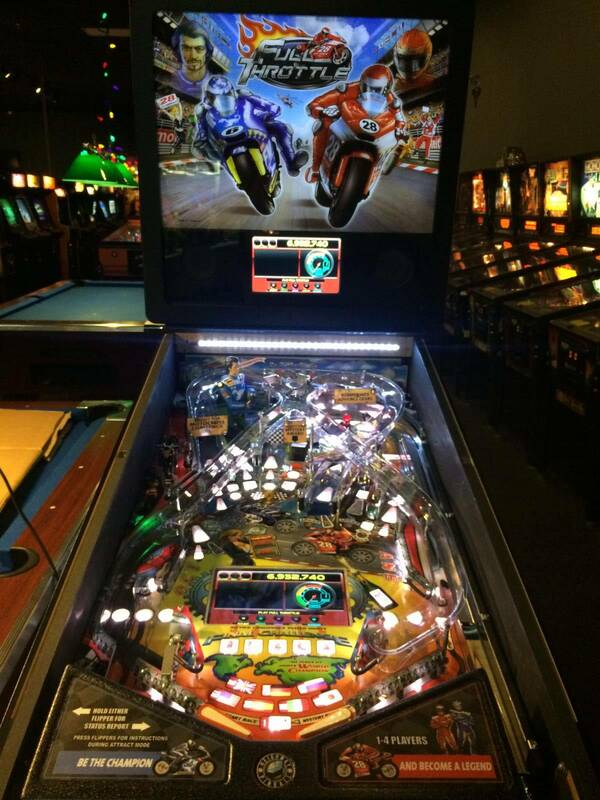 I played Full Throttle in August for my birthday at Pinball Wizard and have found myself missing it's fast action. It would play better in my game room! I was there for the New England Pinball league finals earlier this month and went down on the Friday before to get some evening practice in. I played it then and enjoyed it just as I had back at Pintastic. Come Saturday, at league finals, the machine was down. Whether it was just down because of all the league activity, or down because of trouble, I couldn't say. 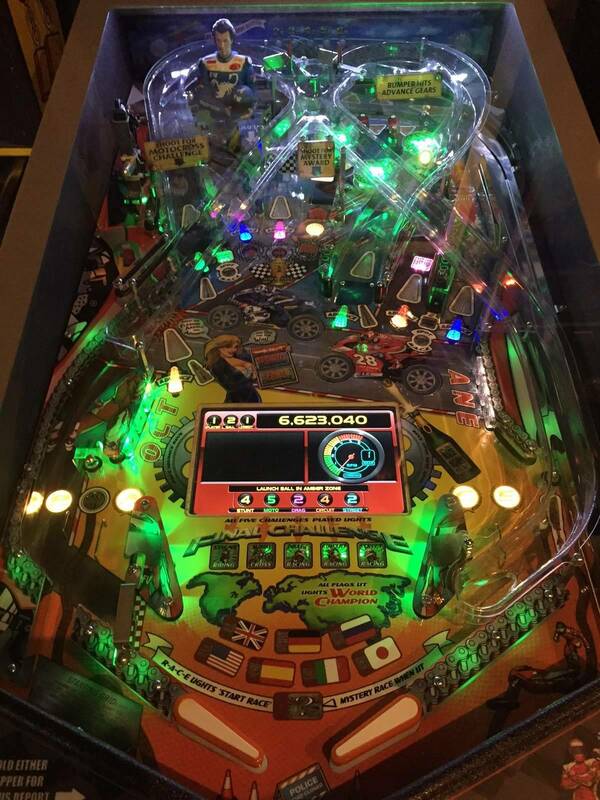 Does anyone else think the silver picture frame around the playfield glass looks goofy and low budget? It kind of ruins the games look IMO. Sara is the best! I've only been to the pinball wizard once but I'll be back! It's honestly the best arcade i have ever been to. Agree, PBW is literally the best arcade ever and Sara rules. But, disagree on FT - looks high-end and awesome overall. No. It's different, it has that iPad look to it. I will say though with the 27" TV in it, it looks anything but cheap! It doesn't look out of place in this lineup. photoshopped actor pics on plastics and playfield etc...on a 5-8k machine? THAT'S goofy and low budget. A silver metal frame? No issues...just looks different so you're not used to it. 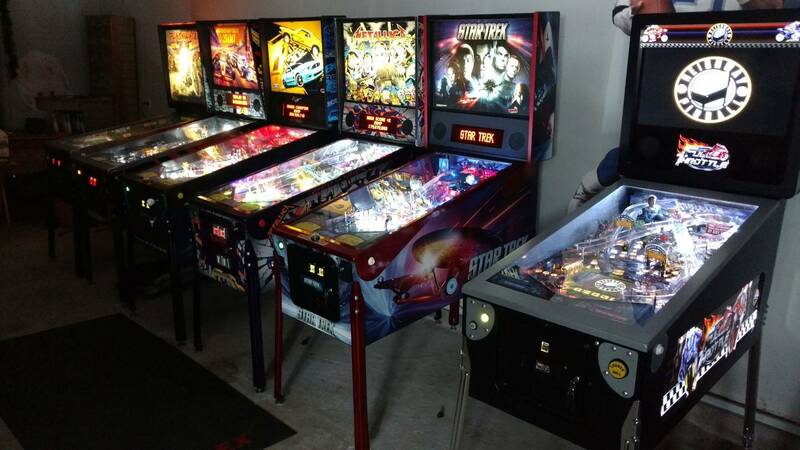 I was at Pinball Wizard over the weekend. Honestly, made the 4 hr trek with the purpose of playing Full Throttle and the Walking Dead LE. I was unable to get a real feel for Full Throttle the first few times I played. The reason.... Complete lack of rule knowledge!! I watched Bowens tutorial to get a feel for the rules and played again. Night and Day. The game has some fun stack ability and earning gears, and races add to the enjoyment and ruleset. Really is a blast even for a guy who is not at all interested in the theme. I played a ton of games as I am planning on buying (or hope to if everything progresses well) an Alien. Game has crazy good flow and is really fast. Build quality does not feel cheap at all. I love the LCD in the playfield and when used in a game w movie capability, or more animation I bet it will be really impressive. My only concern: While I was there the game had to be re-booted because it froze. I read a post earlier up in this thread about the game being down during league play. Anyone else who owns the game have any software glitches like that? And I can attest to the quality of the arcade. I drive a long way to hang out there for the weekend w my family. Sara is a great person and is great to talk pinball with. Not sure if i had more fun playing pinball or talking pinball w Sara? She is an A+ person. My wife and I were starting a game of KISS and she came over and cranked the volume for us. We may not have set any scoring records but it was a nice touch to have your own concert going. It was a good move because we slid more $ in just for the music. There's one at The Sanctum in CT. I believe it's the second one off the production line. It's been there for 2 months and it's been up and running every time I've been there and during league play so any issues are minimal I'd say. I know some adjustments have been made to prevent balls from getting stuck. They have the standard version and it's definitely a nice addition to the lineup and gets a lot of play. 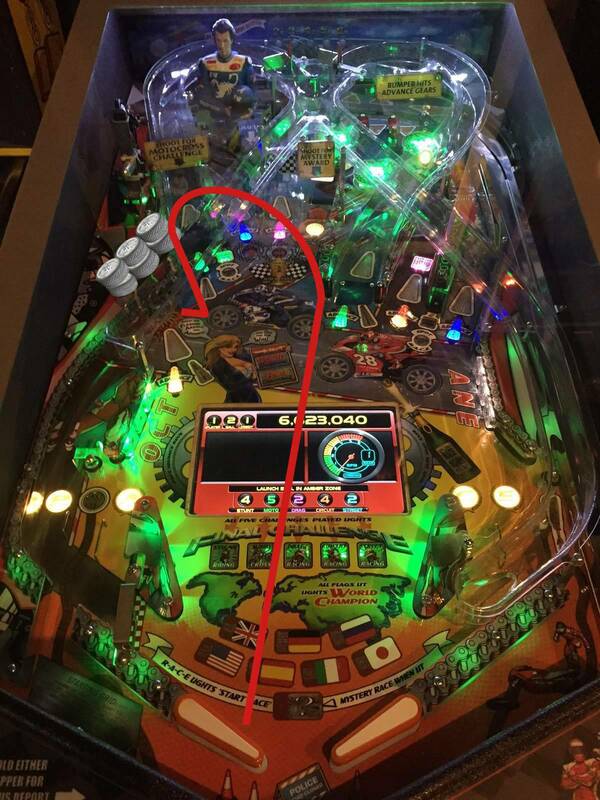 Does anyone else think the silver picture frame around the playfield glass looks goofy and low budget? It looks different, but I don't think it's goofy / low budget. 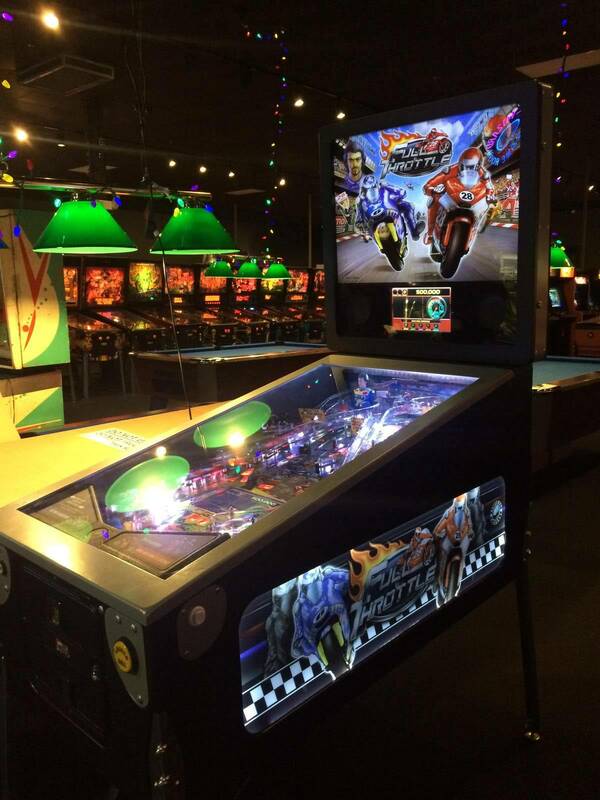 The frame is hinged at the back, so to access the playfield you just lift the front and the whole glass hinges up. Nice. My game has frozen on me before, but I was running software 1.0. I have 1.2 now and am hoping it has better error handling for crashes. It has not crashed yet on 1.2. I do suspect that it is a software problem and can be solved with software, so I've been patient. I'd be curious to know what version they are running when it crashed, whether it was updated or not. I'm running v1.3 out of the box. About 150 plays, with a party beating on it yesterday & it hasn't missed a beat. I've had to make some adjustments: Right sling leaf switch was too close together. All 3 pop bumpers were not sensitive enough. The right orbit needs to be tweaked. And the scoop shoots the ball too random all over, I need to look at it. Over all I'm very impressed & I Love this pin! As mentioned above the stacking of the modes & collecting of the gears(multipliers) & using them strategically is a blast! Each mode adds a ball as you stack them, up to 6 balls! 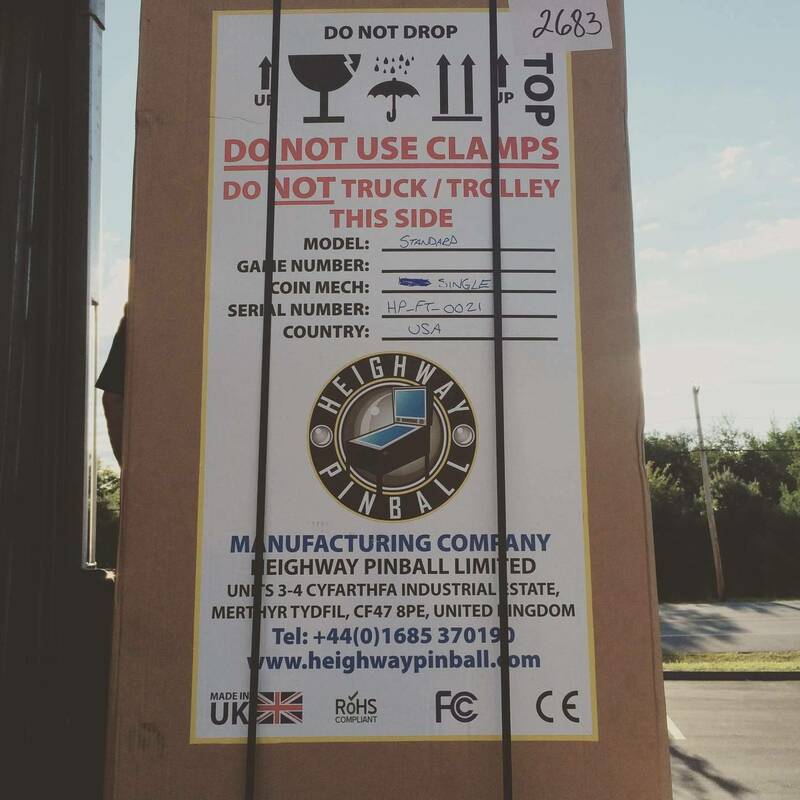 For a 1st game from a New pinball company, Heighway Pinball has hit a home run! If this is any indication of how good Alien will be, it's going to be off the charts good! 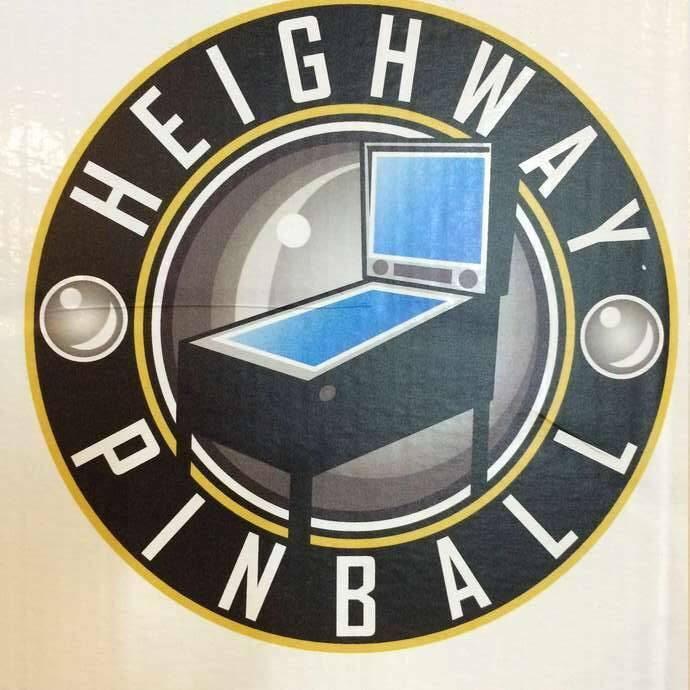 Im really excited to see Alien & all future tables from Heighway Pinball! There is around 4K plays on my routed one and they only thing that has happened is the left flipper button popped out of the game. I would suggest putting double mylar in front of the start race scoop to protect the playfield. 4000 plays?! Wow! 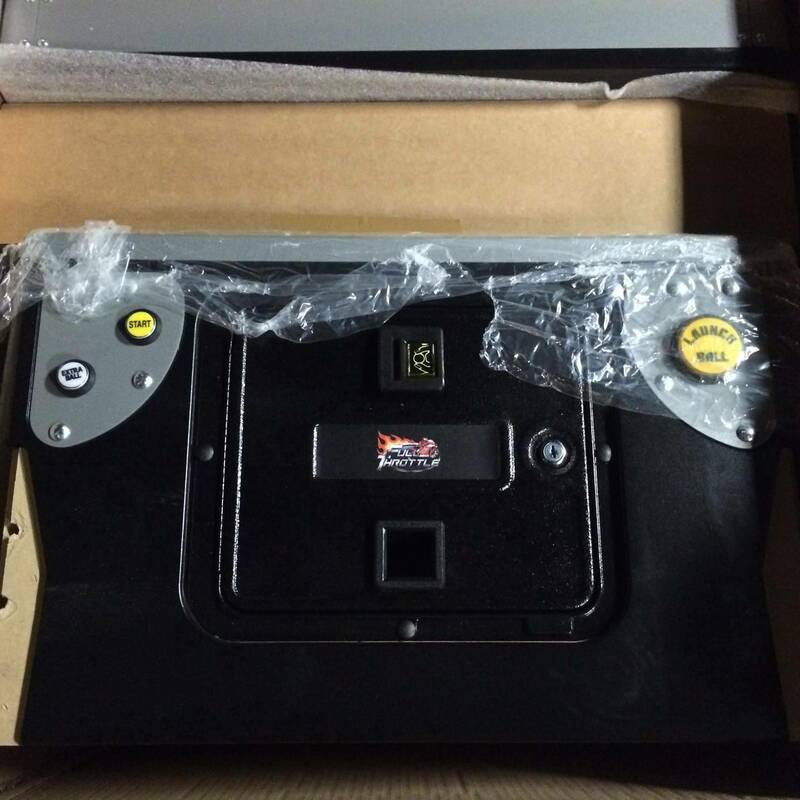 Has anyone contacted Cliffy to have one made for Full Throttle? - no real problems after a lot of games is the other . What are you charging per play? The info on reliability and tweaks needed was very helpful. I have never purchased a NIB before and I am 90% sure Alien will be my first NIB purchase. I should prob ask this on Full Throttle thread but has anyone talked to Andrew about parts availability? No, but I do know they make a lot of their parts in house. So availability should be even better than current manufacturers, or at least as good. I didn't speak with Andrew, but when I ordered my game through Cointaker they told me that they would be carrying parts. EU law means parts have to be available for 10 years. I wouldn't worry about spares. Anyone can get me the 1.3V code for fullthrottle for download? Why not go to the source and ask Andrew? He seems very reasonable. I just want that code asap that's why..